we came up with our own design. 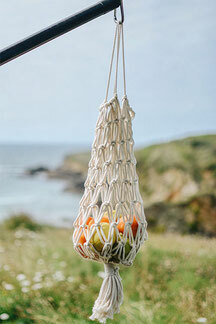 Our fruit baskets are the ideal way to store fresh fruits and veggies in small spaces. 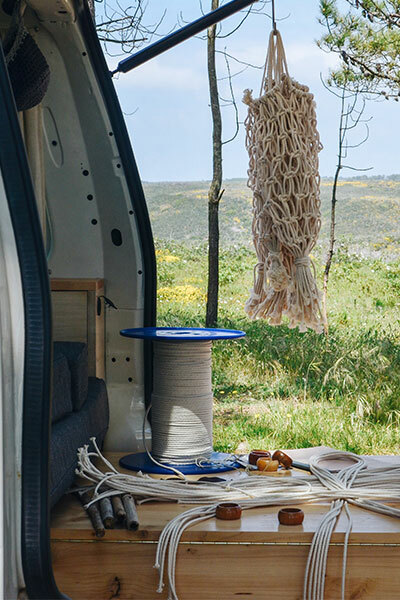 The soft natural cotton rope reduces bruising and soft spots on your roadtrip. 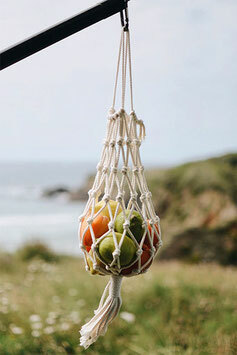 A handy loop makes it easy to hang up. We find it is not just super practical it also looks great. 100% high quality braided cotton rope. Handmade on the road in Europe.